Comments: Former Library book. Great condition for a used book! Minimal wear. 100% Money Back Guarantee. Shipped to over one million happy customers. Your purchase benefits world literacy! 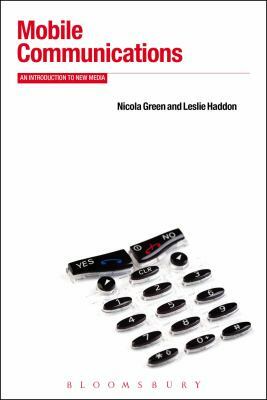 Nicola Green is Senior Lecturer in New Media and New Technologies in the Department of Sociology, University of Surrey. Leslie Haddon is Researcher and Associate Lecturer in the Department of Media and Communications, London School of Economics and Political Sciences. Berg New Media Series edited by Leslie Haddon and Nicola GreenHaddon, Leslie is the author of 'Mobile Communications: An Introduction to New Media (Berg New Media Series)', published 2010 under ISBN 9781845208141 and ISBN 1845208145. Loading marketplace prices 102 copies from $1.98 How does the rental process work?